For everyone with a camera, vision, and love for art, opportunity is knocking. Hear hear! Gujarat Photo Festival is just around the corner. Register. Learn. Display your skills. Appreciate. 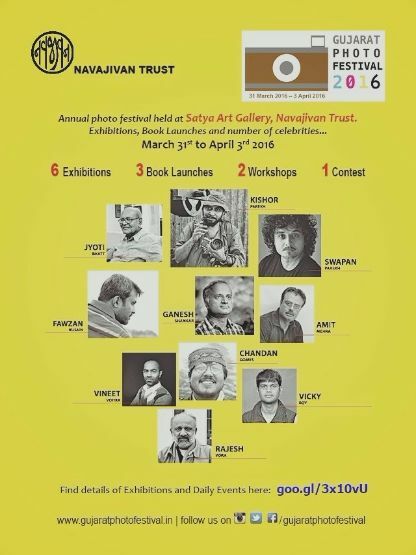 Block your dates 31st March to 3rd April, at Satya Art Gallery, Navjivan Press, Ahmedabad.